Geomod has been a PRIMAR certified distributor since 2008. 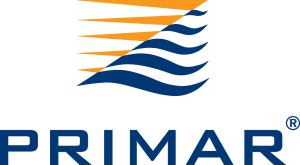 PRIMAR is a Norwegian collaborative and non-profit organization delivering official Electronic Navigational Charts (ENC) compliant with the IHO standards. The ENCs are produced by the Hydrographic offices around the world and are encrypted according to the data protection scheme defined by the S63 IHO publication. For more information about the ENC and their use, you can visit the SHOM website (Hydrographic and Oceanographic Service of the Marine) and especially the page Electronic Navigational Charts. The ENCs and their updates are delivered through a download link for a subscription period of 3 to 12 months. Go to the PRIMAR Portal to view the official world ENC production. Select the ENC you wish to subscribe (use a right click or the selection functionalities of the ENC tab). Save the basket (in the Basket tab) and send it to us, specifying the required subscription time (from 3 to 12 months) at the email primar-enc[at]geomod.fr. We will then send you back a quote for the order you wish to place. We usually deliver the ENCs and the corresponding cell permits within the hours following the order. Geomod does not distribute paper charts.